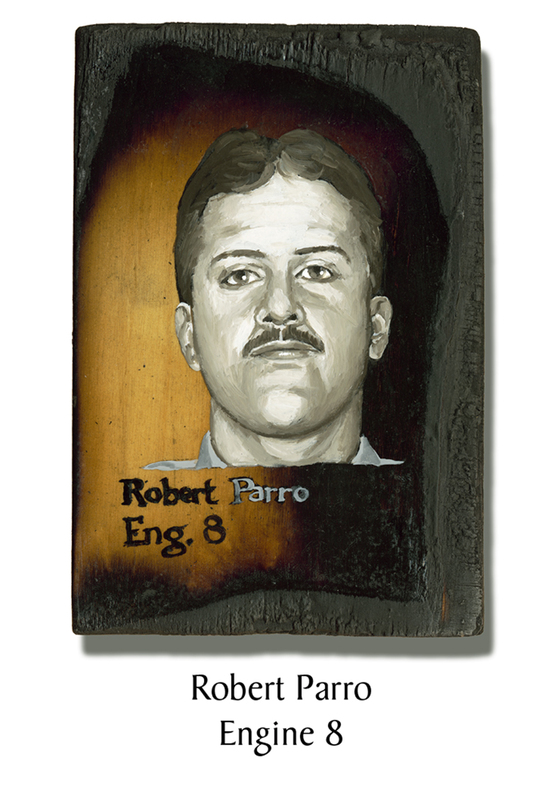 Firefighter Robert Parro, 35, was an 8-year veteran who loved his job. A lifetime resident of Levittown on Long Island, he was apparently a great neighbor to have as he was a skillful handyman and would often help on others’ home projects. He was the only member of Engine 8 lost on 9/11. Engine 8 shares its firehouse with Ladder 2. This entry was posted in Better Angels Stories and tagged 343, 9/11, better angels, Dawn Siebel, Engine Co. 8, FDNY, firefighter, firefighters, firefighters of 9/11, LODD, Manhattan, memorial, NFFF, paintings, portraits, Robert Parro, World Trade Center, WTC. Bookmark the permalink.